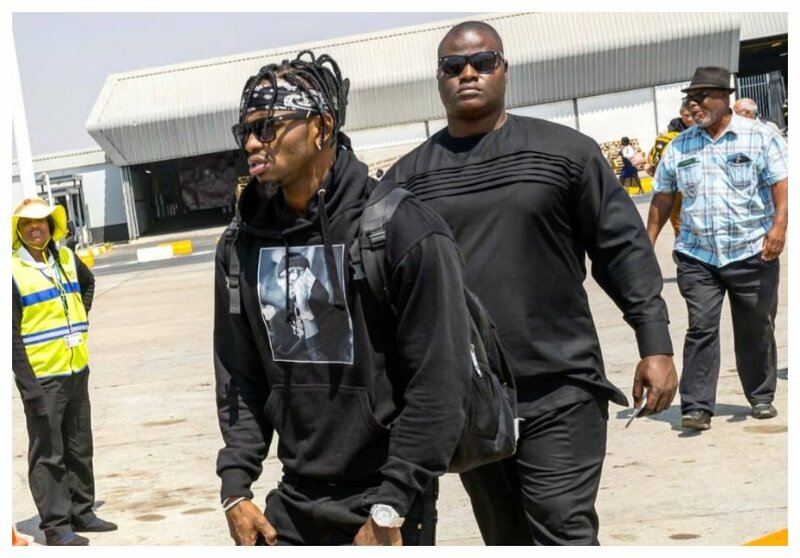 Diamond Platnumz is slated for major show in Thika town on December 1st 2018. 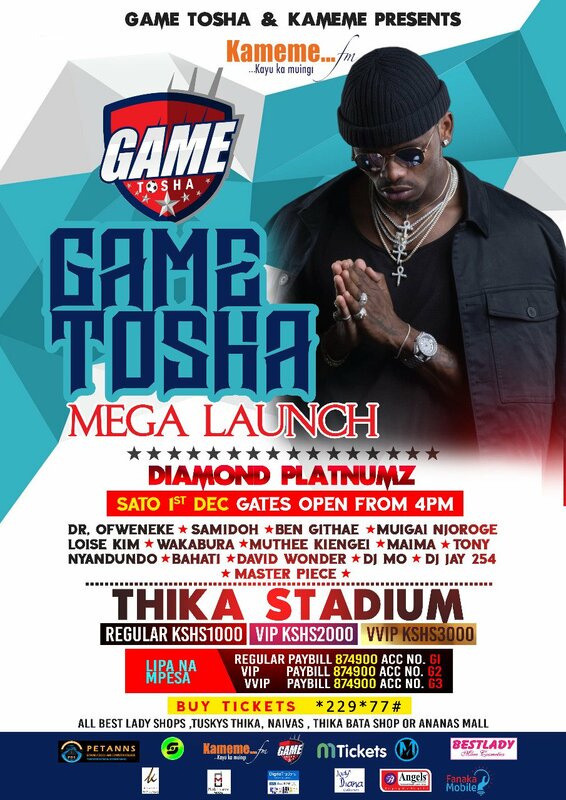 The Bongo singer will be performing at Thika stadium during the launch of Game Tosha. The forthcoming gig in Thika will arguably be one of the biggest shows in Kenya this festive season. Game Tosha has also lined up several A-list musicians from Kenya to perform in Thika on December 1st. Kenyan music heavyweights like Bahati, David Wonder, Ben Githae, Muigai Njoroge, Loise Kim, Wakabura, Muthee Kiengei, Maima, Tony Nyadundo, Samidoh, Master Piece are all slated to perform at Thika Stadium before East Africa’s finest Diamond Platnum takes to the stage. The MC of the day will be Dr. Ofweneke. Gospel mix master DJ Mo and DJ Jay 254 will be on the decks to give revelers the the right dose of music. Regular ticket goes for Kes 1000, VIP Kes 2000 and VVIP at Kes 3000. Tickets are available online on mtickets or buy via the phone by dialing *229*77#. You can also buy the tickets at all Best Lady shops, Tuskys Thika, Naivas, Thika Bata shop or Ananas Mall.